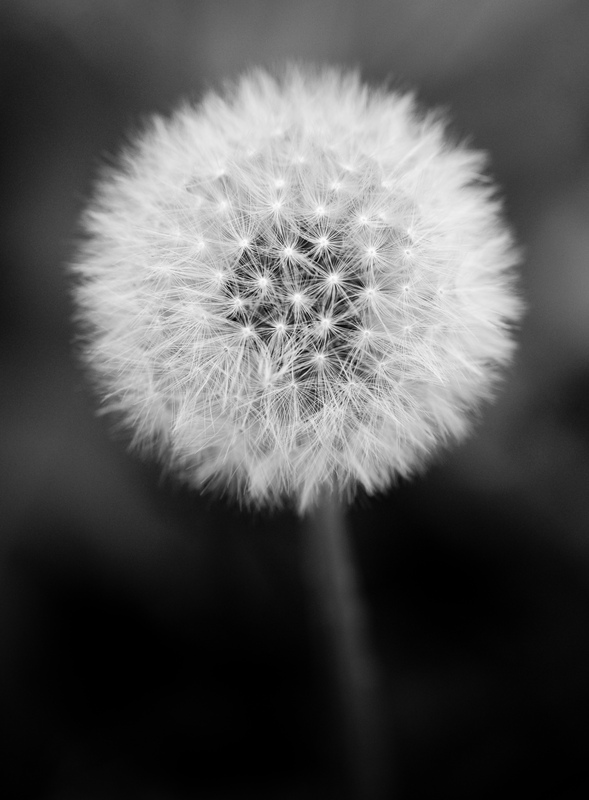 This Dandelion (Taraxacum officinale for the scientifically inclined) is ready to unleash it’s progeny. The parachute seeds will colonize the area where the wind deposits them. While this weed is the scourge of lawn care, it’s beautiful seed heads are fascinating. Complexity and symmetry all rolled up into one nearly perfect sphere. I shot this with my Canon screw-on close up lens, the depth of field is very shallow so the outer part of the sphere went soft. My large but minimally maintained backyard is not particularly scenic. I can barely grow grass, I seem to do much better with weeds. A week or so ago I noticed a spot of red out there. Too far away from the house to identify, I was thinking it was a piece of trash blown into the yard. 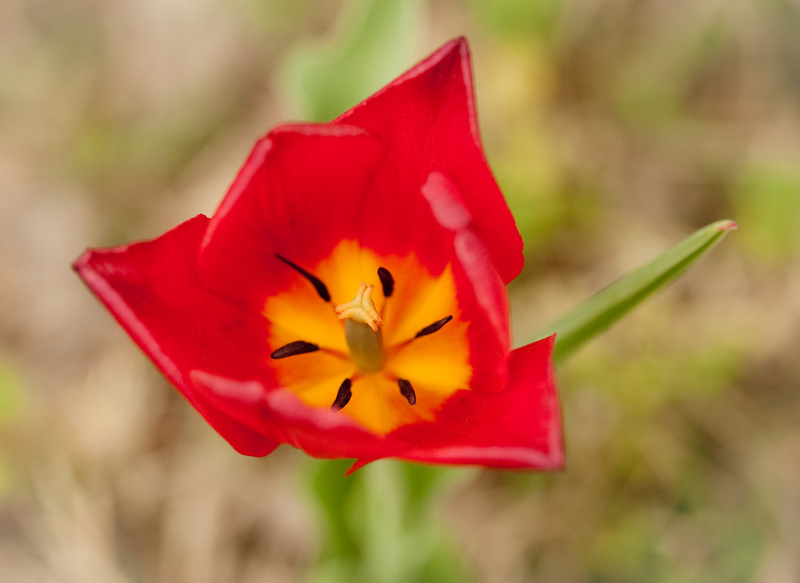 Walking out to retrieve it, I discovered, to my amazement, it was not trash, but a perfect red tulip. Growing out in the middle of the yard, this was something new. I know for at least the ten years I have been here, there have been no flower beds, flower gardens, or an attempt at such anywhere in the area. So what could this mean? Was it my wife’s recently passed beloved grandmother sending us a message? Was it my dad saying ‘hey’ from beyond? A special gift for me to celebrate another spring after a health scare in the fall? A little divine help in naming my wife’s new upcoming business venture? Or perhaps just a flower. Whatever the case, we are enjoying the mere fact of it’s existence. To tell this story with a photograph I really needed to show the tulip small in the frame, illustrating it’s lonely position out in the middle of the otherwise unremarkable setting, however I couldn’t seem to figure out how to execute that in a satisfying fashion. I have thus gone macro to at least have a record of the special flower. 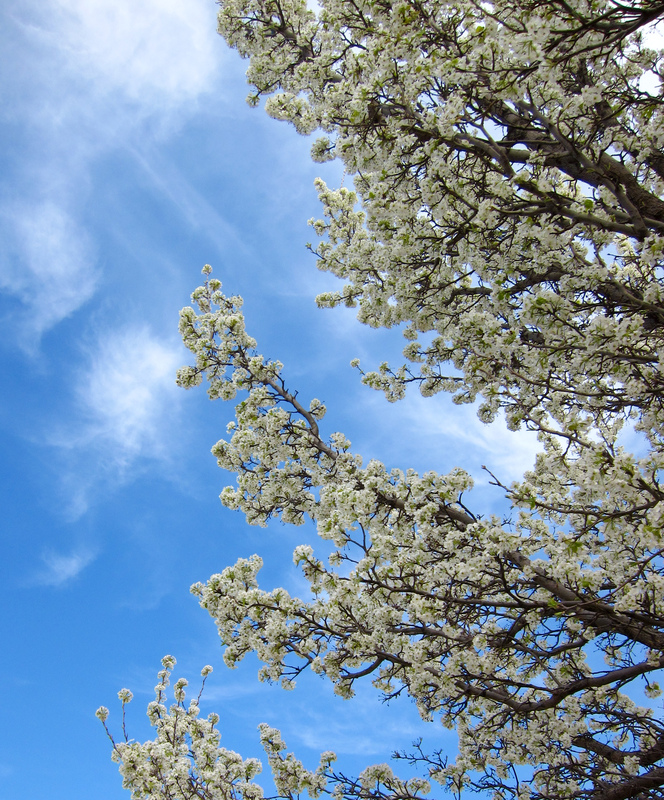 There are some beautiful trees in Wichita right now, with brilliant white blossoms. I think these are pear trees, however I may be mistaken. These trees have that infrared look, without the need for pesky IR filters or expensive camera conversions. I searched the city on Saturday for one or more of these trees in a pleasing setting, but had no luck. They all seem to have been planted along busy roadways, parking lots, next to power lines, etc. There are a few of these trees along my walking route so I isolated part of one against the blue sky with a few wispy cirrus clouds. This is another example of what the little Canon S90 can produce, the jpegs look quite good right out of the camera. Spring is here and I for one am quite happy about it. I hesitate to share this experience, but it has been weighing on my mind for some time. During my foggy morning photo shoot I began feeling uncomfortable. I had that sixth sense feeling that I was being watched. 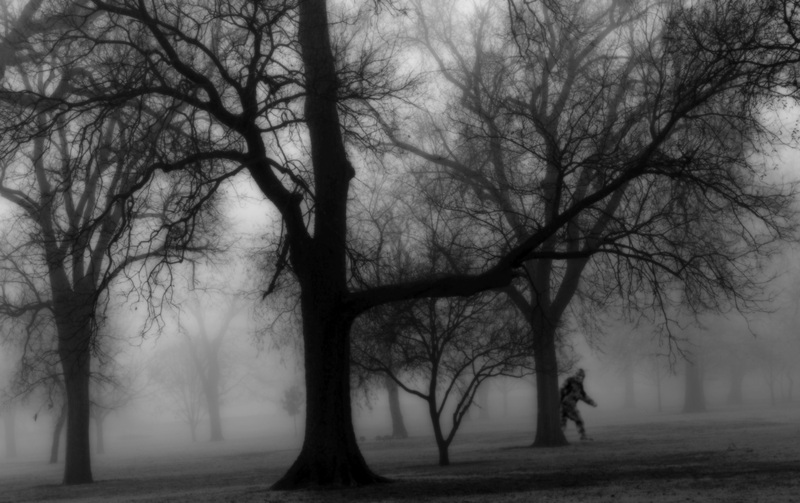 As I ventured further into the fog I ran into a foul stench. The hairs were standing up on the back of my neck, and I felt the overpowering urge to leave the area immediately. The fog was such an unusual opportunity however, that I snapped off a few more frames. Only one of them managed to capture the source of my anxiety. I had heard stories of a small number of Sasquatch living in the denser areas of Wichita’s parks, however I thought it was an urban legend until this day. As an interesting aside, for any scientists who may be reading this, I’m pretty sure he was carrying a bag from McDonalds.